Tinker the terrier mix who has her owner under her spell — Havers Dog Behaviour. What do you do when your dog won’t walk unless she is going where she wants to? What do you do when your dog barks at everyone that goes pat your house and hates the postman? What do you do when your dog has you convinced they are scared and nervous? These were the questions I was asked when Tinkers owner rang me for help. 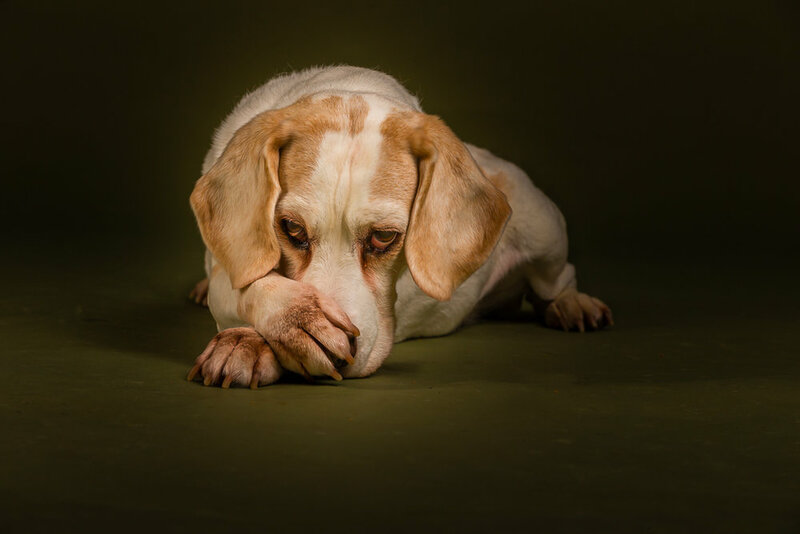 Tinker was making life very difficult for her owner and they were both getting very stressed and the more the owner tries she could not change her dogs bad behaviour. Walks were taking longer and longer, getting to the bus stop was becoming more difficult and going to the shops was almost impossible because if Tinker didn’t want to go, she dug her paws into the ground and refused to move. The owner was quite surprised when I told her I see this type of dog behaviour on a regular basis. She thought she had a unique problem and it can feel that way sometimes but when you have the years of experience i do, I have seen so many dog behaviours and varieties thereof there isn’t much that is different. The biggest consistent factor however is the owners reaction to their dogs behaviour and this is very consistent which some dogs can easily then manipulate to their own advantage and Tinker has mastered the art of control. We as people are programmed to react most to the behaviours we don’t want and with Tinker that meant she got the most reaction for not walking, for barking and for being excited. This might not sound too bad but it means being relaxed and quiet was not a viable option for Tinker so she could never be relaxed because she always had to be alert for sounds to bark at just to get attention. That is very exhausting for both Tinker and her owner and it can wear both down over a period of time. Tinker was stressed because of this and would show signs of anxiety and nervousness and this was linked to her belief that being anxious and stressed got the most reaction so she believed this is how she was supposed to behave, even though she clearly didn’t like it or even really want to behave in this way, poor dog. Every dog is different and this can be a big challenge for people who have had dogs for years without any issues and then they get a new dog that is completely different and has behaviours that are out of their own experience and understanding. Then is requires a different pair of eyes to view the situation from the dogs perspective and to understand the relationship from Tinkers point of view. As usual, when I explain the world from the dogs point of view and Tinkers owner was no exception, suddenly the dogs behaviour makes much more sense and the owner can begin to understand why their dog is behaving the way she does and most importantly they can see how and where they need to change their own behaviour because they can see their dog changing in front of them during the visit. This is Tinker the terrier mix. By the end of the visit, Tinker was lying down on the top of the sofa by the window looking and feeling much more relaxed. We had taken her outside to see her behaviour on the lead and now her owner knows how to rebuild Tinkers behaviour on the lead and when outside. There is much to do and plenty of progress to be made but they are off to a good start to a more relaxed and less stressed life together. I am seeing them again next week to continue their progress.